If I had to scale it down to five skincare brands that I wanted to try out, then it would have most certainly include Omorovicza. The Hungarian brand is one which has slowly crept into the beauty blogging world and has remained in my mind since I first set eyes on the black cleansing balm, yes I said black. 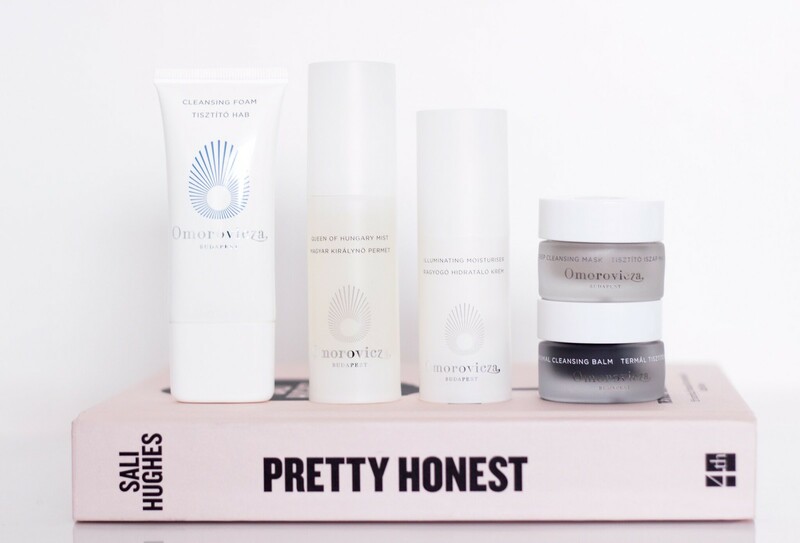 A little while back I was kindly sent out to road test the Omorovicza Introductory Set* which contained a lovely little selection of some of the most popular products from the Omorovicza range. Initially my first impression before I tried any of the products out was good as I felt as though the sizes within this set were of a decent size; there is most certainly in my opinion enough of each product to get a feel as to how these will work for you over a longer period of time. There is a lovely little skincare routine to be found within this set as you are provided with a cleanser, clay mask, toner/mist and moisturiser making it a perfect introduction to the brand. The Omorovicza Illuminating Moisturiser* hydrates the skin and minimises the appearance of find lines and imperfections. Having now used this for the last few weeks I have arrived at two conclusions. The first being that it is for me most certainly a beautiful, light weight moisturiser which will be perfect for my skin come the summer when the weather is warmer and my skin is naturally more oily. The second thing is that although this is an absolutely beautiful product, it does lean towards a price bracket which I would struggle to come to terms with when paying for a moisturiser. In all honesty I would much rather pay more money for a serum and then use a more budget friendly moisturiser on top. Nevertheless, there is no denying that Omorovicza have created a gorgeous product here. The Omorovicza Queen of Hunagry Mist* was the first of two products within this kit which I will hold my hands up to being more than a bit sceptical of. The reason for this on this occasion as this product in particular has received its fair bit of attention from beauty bloggers. I think now would be a very good time to point out that I rarely get along with facial mists, a certain beauty elixir has to be one of the most useless products that I have ever tried, therefore this product was always going to struggle to wow me. It is not that this is a bad product, in fact the sensation of this on your skin is really quite lovely and incredibly refreshing, however to me that’s all it really does and not much else. The Omorovicza Cleansing Foam* was second of the two products within the kit which I was curious about, because like any other product which has the word foam within the name it immediately makes me feel a little bit concerned as foaming products are generally notorious for drying out your skin. In all fairness to this product I have not experienced any dry feeling upon using this, in fact I find it to be incredibly refreshing and delicate on my skin which is why I have found a use for this of a morning time. In contrast to this, of an evening I opt for something which is more heavy duty, although perhaps heavy is the wrong word to use here as the Omorovicza Thermal Cleansing Balm* is anything but. This gentle black cleansing balm works beautifully as a second cleanse. Due to its price tag and of course with it being more of a luxury product, I do prefer to use something more affordable to remove the bulk of my make up as I really want my skin to benefit from using this through a gentle massage as I work the product into my skin. This cleansing balm is packed full of minerals which help to purify the skin which is something I am always looking for within my skincare products. The Omorovicza Deep Cleansing Mask is perhaps my favourite out of all the products featured today; I just love a good mask. Unlike most clay based masks this does not dry my skin out, nor does it make it feel tight and stripped which is incredibly important, particularly if you have oily skin as you will just exacerbate the problem. This dries relatively quickly, where after ten minutes you can simply wash it off whereby it leaves your skin feeling remarkably soft and much clearer too. Overall, my first experience with Omorovicza has actually been a pretty positive one indeed. 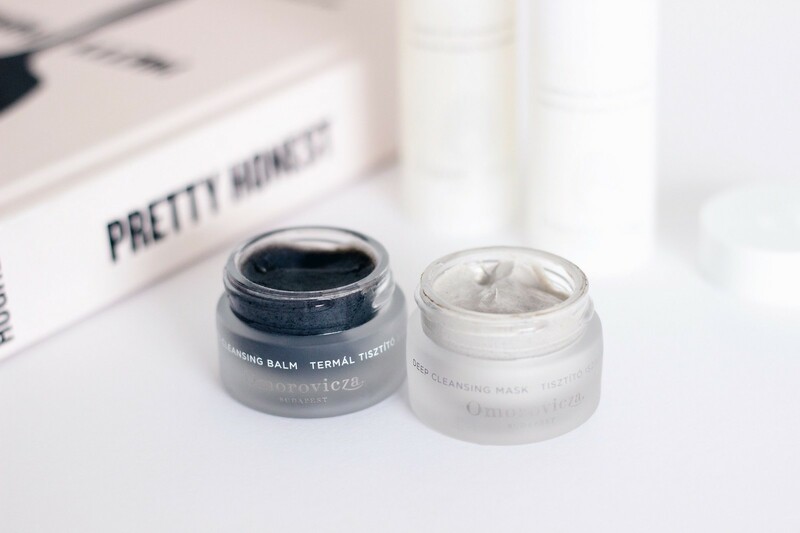 The Omorovicza Deep Cleansing Mask and the Cleansing Balm are most certainly stand out products for me. In the future if money were indeed no object then I can safely say that these would be purchases to come, they really are delightful products which have worked really well on my skin. Omorovicza can be purchased from Beauty Expert where you will find the products featured above and indeed the whole Omorovicza range.